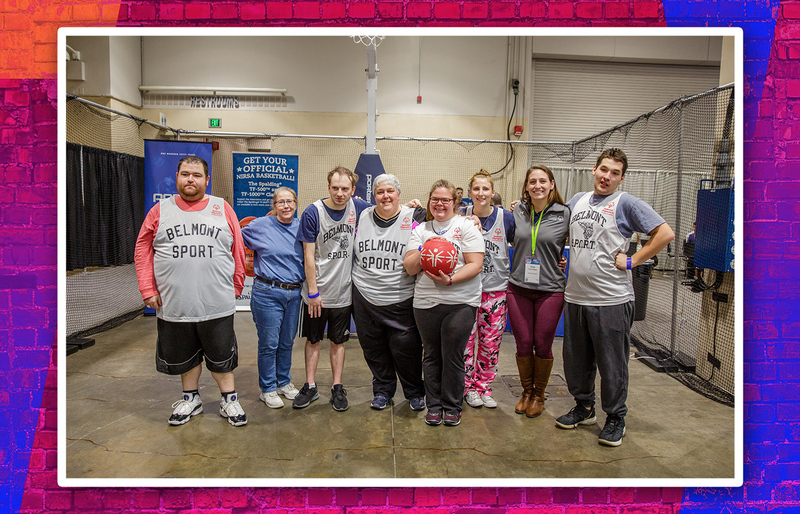 The 2019 NIRSA Campus Rec & Wellness Expo featured 160 vendors from diverse companies across all areas of campus recreation and wellness. With more than 35 first-time exhibitors, attendees had a fantastic opportunity to find new products and make new connections; the 125 returning exhibitors offered returning attendees the chance to continue building strong connections to support the health and wellbeing of campus communities across North America. As the show opened, attendees had to make a tough decision: where should they begin their journey through the maze of vendors, games, and demonstrations? While some headed straight to the NIRSA Booth to pick up their NIRSA beanie or scarf, others started their Expo experience with a test ride on new exercise equipment. Then there were those who paused for a bite to eat at one of the many food stations, while other attendees chose to work out in the Fitness Forum. Whatever the choice, the Expo Hall was buzzing with music, fun, and the chatter of old friends reconnecting. The second day of the Expo began with an early morning workout and the integration of the Mark Fletcher Urban Circuit benefiting the NIRSA Foundation. Some attendees were walking a 3K around the parameter of the Expo Hall while the Fitness Forum was packed with yogi’s stretching their tired muscles. F45 ramped up with a full class and treadmills were quietly humming with NIRSA Foundation Corporate Partners, Woodway and Matrix. For attendees who weren’t looking to work out, the Expo opened later in the morning, and as campus recreation professionals walked the floor with coffee and tea in hand, they found themselves, once again, trying to determine the best place for them to check out first. Many dropped off their raffle ticket to win one of the 10 prizes that were given away, while others participated in the hoop shoot. 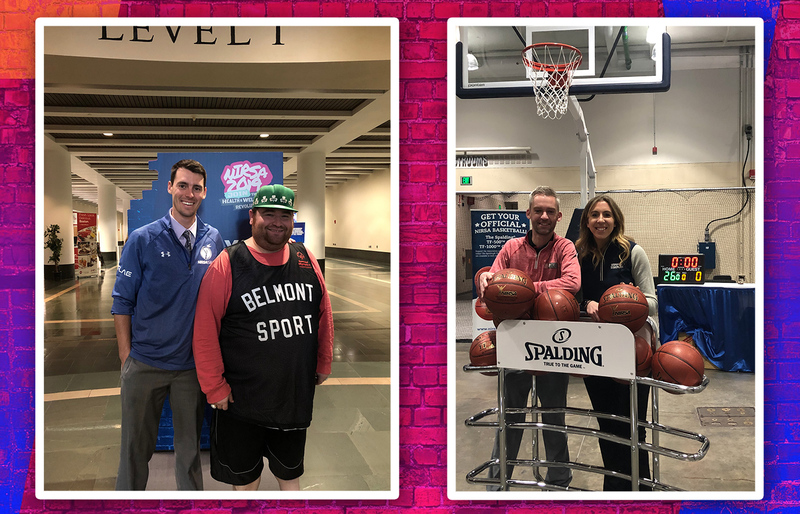 A warm welcome from our Unified athletes greeted hoopsters and the winning free throw shooters won a NIRSA basketball and cash prizes. Hoop shoot winners in the Unified division was team Brian Veverka, Intramural Sports Program Director at Georgia Southern University, and David Katz. The individual winners were Brittney Zwolfer, Associate Product Manager at Life Fitness, with a score of 20 and Kevin Maurer, Assistant Director of Competitive Sports at Winston-Salem State University, with his score of 26. After lunch vouchers had been redeemed and attendees had cram in all that they could before heading out to another afternoon of outstanding educational sessions, the closing announcement came over the loudspeaker: “we hope to see you next year in Phoenix.” Several people could be heard saying, “Phoenix? I can’t wait to go to Phoenix!” And with that, the 2019 Campus Rec & Wellness Expo came to a close. Didn’t have a chance to connect with one of the vendors? Remember to check out the NIRSA Buyer’s Guide for the contact information of NIRSA’s Associate Member companies. For more information, please contact NIRSA Director of Corporate Relations Heidi Cleary.